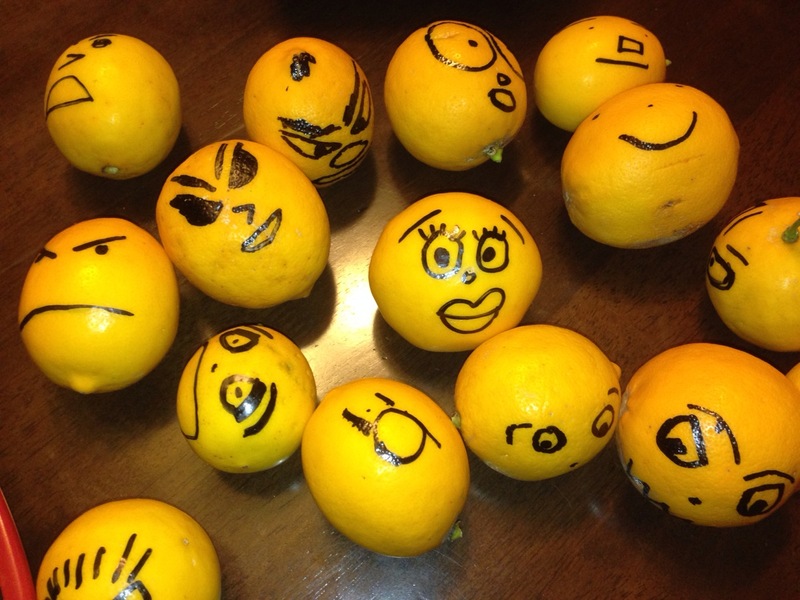 The ones that she gave were a hybrid between mandarins and lemons, but little did she know that they soon turned evil in my home…in the hands of my overly creative husband and kids! 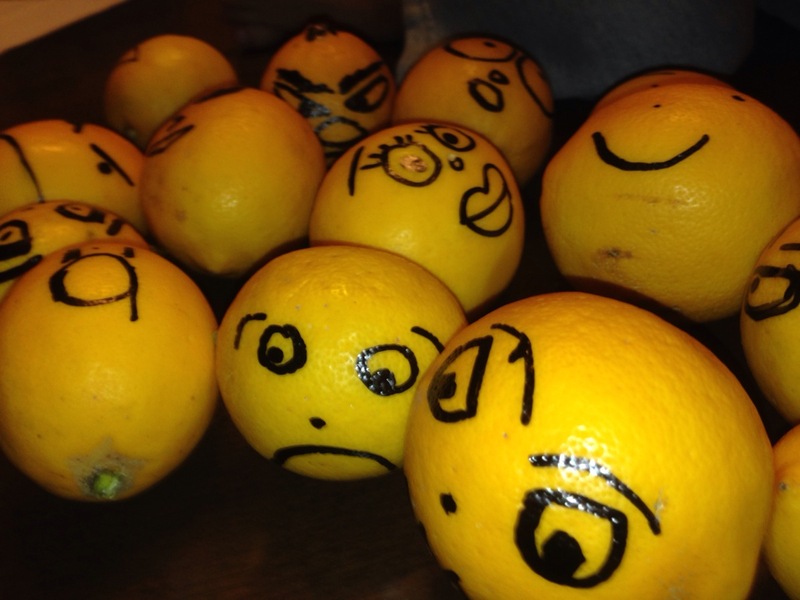 Each of these lemons took on a unique personality…everyone of them…imagine my surprise when I saw them the next day! 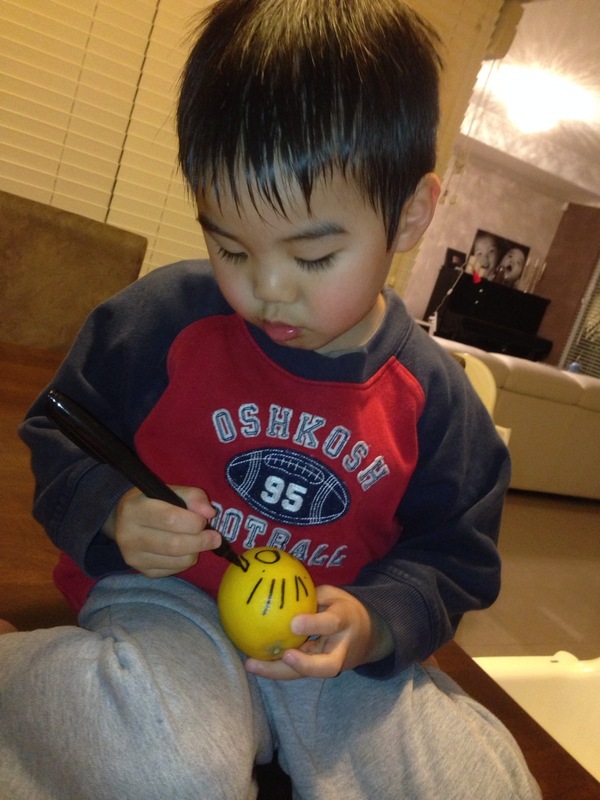 My son also seemed to have an amazing span of concentration when it came to drawing them! 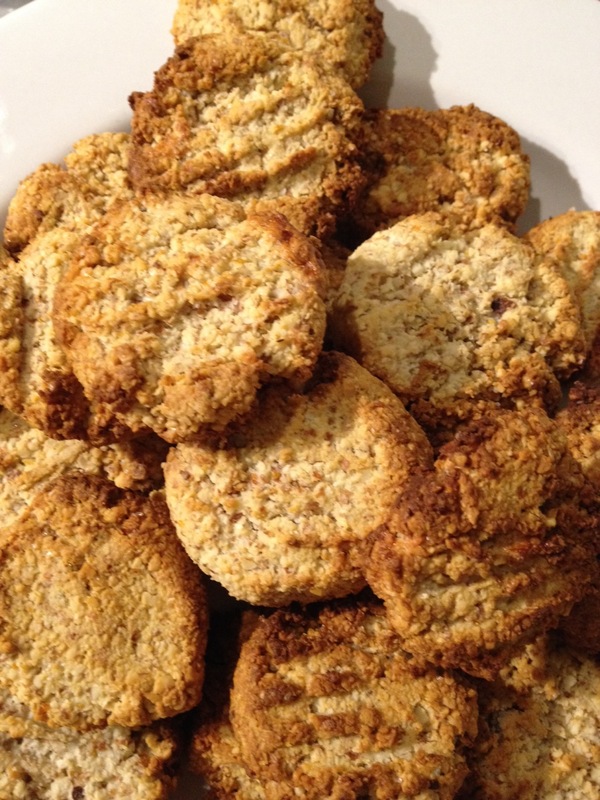 So I found a thermomix recipe here and decided to blitz them into cookies for dessert tonight. 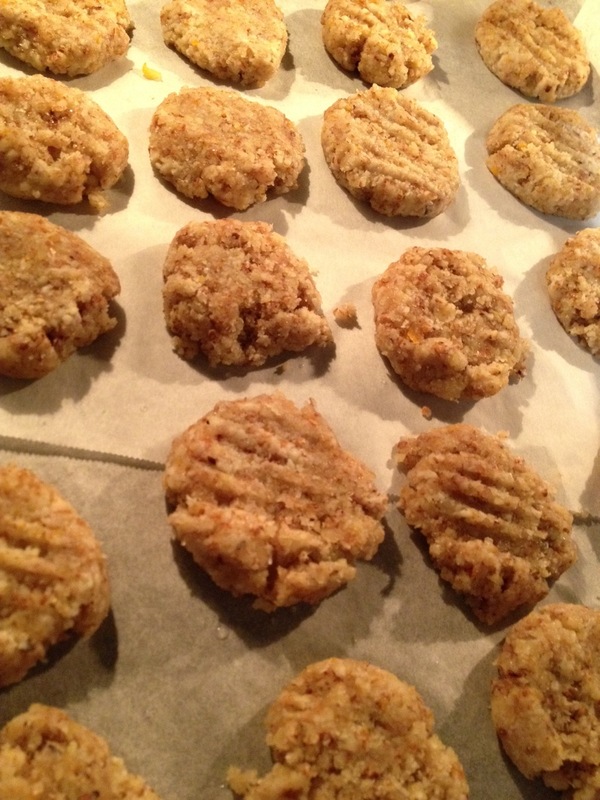 This recipe contains walnuts and I gave my 11 month old a little taste to try. I cut the sugar right down and found it to be the right amount of sweetness. I rolled them into balls and flattened them with a fork. And this is how they turned out tonight! 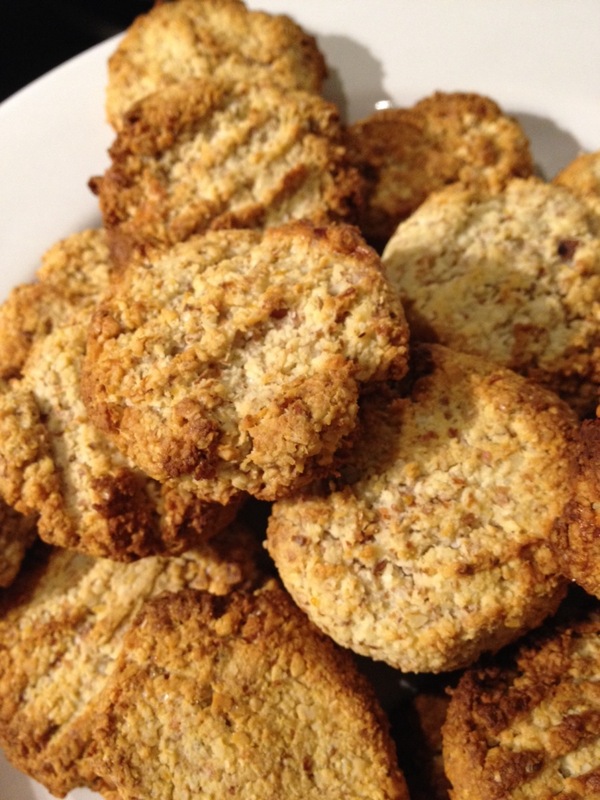 Nice and a little spongy, these will surely go down well with a cup of tea and a girlfriend to share! Thanks sis-in-law!